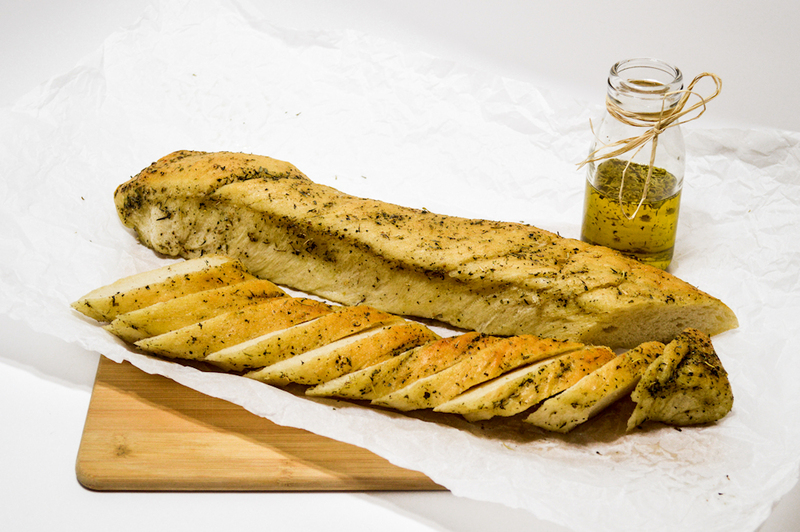 Italian olive oil bread takes 48 hours to make the texture. Then brushed with our special mix of seasoning. Available for pre-order pick up only. We will email you when your product is ready to pick up at the store. Orders placed before 2PM should be ready for pick up by 10AM the following morning.